A new study by McMaster University and United Way Toronto shows that employment without benefits, full time status or pensions has increased in Hamilton and the GTA by nearly 50 per cent in the last 20 years. No full time work, no benefits, and no job security. Sound familiar? It should, according to a new report on "precarious employment" and household well-being released Saturday by McMaster University and United Way Toronto. 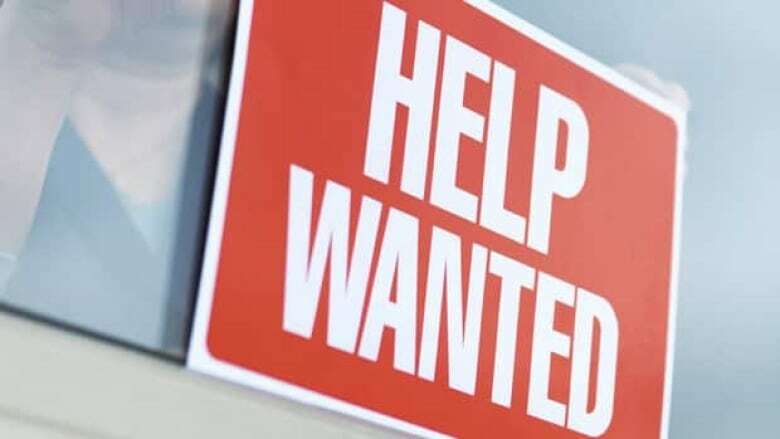 According to the report, only 60 per cent of workers in Hamilton and the GTA have what they'd classify as stable, secure jobs. The rest are either working short term, contract jobs with little to no security or benefits, or full time hours without security. You can read a full summary of the report here. "We're a richer society than we were 20 years ago, but we're not better off — and that's a problem," said Wayne Lewchuk, a labour and economics professor at McMaster University. Lewchuk is one of ten authors who contributed to the study. The research team surveyed 4,000 people in Hamilton and the GTA between the ages of 25 and 65 by phone and interviewed another 83 who classified their employment status as precarious in person. Lewchuk told CBC Hamilton that the report's findings present a "new normal" that could prove damaging both for the economy and for the health of the family unit in society. Only 60 per cent of GTA and Hamilton workers today have stable, secure jobs. Barely half of those working today are in permanent, full-time positions that provide benefits and a degree of employment security. At least 20 per cent of those working are in precarious forms of employment. Another 20 per cent are in employment relationships that share at least some of the characteristics of precarious employment. Precarious employment has increased by nearly 50 per cent in the last 20 years. Hamilton faces some unique challenges, Lewchuk says, adding that the city's north end seems to house more people who say they are in precarious employment situations than others. "The old city of Hamilton and the north end has a higher level of precarious employment than the rest of the city," Lewchuk said. The report also says that people working in the manufacturing industry are the least likely to have secure, stable work. "Manufacturing used to be the rock of steady employment, and it's just not anymore," Lewchuk said. "There is a constant worry of a plant being taken over and moving. It's an uncertain world." But some of the numbers presented in the study actually work in Hamilton's favour. The city's precarious employment rate is 15.2 per cent, lower than any other regions surveyed. Hamilton also has the second lowest level of temporary employment in the region at 7.6 per cent. Some also might question the "self-employed, no employees" category from the report. That can include people who own their own businesses and are self-employed, but might not know for certain if the business will be afloat next year. That could be seen as a positive or negative position depending on the person, Lewchuk said, adding that Hamilton's low housing prices compared to Toronto can help attract self-employed people to the city. "If you want to be self employed here, it can be easier and cheaper," Lewchuk said. "And some self employed people are very successful — but we can't ignore the possibility for stress." The effects of precarious employment can be far-reaching, Lewchuk says — and have severe impacts on family life. A key finding of the report is that employment precarity affects household well-being mainly in low- and middle-income households. People with secure employment are more likely to be living with a partner than people with precarious employment. When a person with a precarious job did have a partner or spouse, that partner is less likely to be working. If they are working, they are less likely to be employed full-time than partners with a secure job. People with a secure job are more likely to be raising children than those with precarious employment. People in insecure employment in low- and middle-income households are the most likely to report delaying having children as a result of employment uncertainty. People who have insecure employment and who live in low- and middle-income households are more likely to report that anxiety about employment interferes with personal and family life. Regardless of household income, uncertainty over work schedules prevents those in insecure employment from doing things with family and friends more frequently than it does for others. People in insecure employment living in low-income households are more likely to find it hard to make ends meet or to run out of money to buy food, compared to workers with secure employment in the same income category. "People in these situations are going to such lengths to support their families. They are resilient." Lewchuk said. "But there will be costs for the breaking down of families and our communities." But Lewchuk says that people don't just have to just accept the rise of precarious employment in Hamilton as an inevitability. "It doesn't have to be this way," Lewchuk said. "Labour markets have changed, and we have to rethink things." He points to labour practices established decades ago like private employers providing a pension, benefits and training as unrealistic for many people in today's economy. "These things are not being done in the same way because of short term contracts." So to circumvent that problem, the report outlines several possible solutions. One is upping minimum wage. "Increasing household income by raising the minimum wage is one option that has the potential to decrease poverty and help mitigate the impacts of precarious employment," the report reads. In Australia, workers in precarious employment situations receive a "casual loading" equivalent to about 20 per cent of the minimum wage to compensate for the lack of certainty in their employment, the report says. "And that has worked well for them," Lewchuck said. "A lot of things like this are being done in other places, and there is no reason they can't be done here." The report also says providing more opportunities to join unions and find collective representation could help people land in more secure employment. "At the present moment, more people want to be in unions than ever in our history," Lewchuk said. "The argument that unions are a bad thing rings kind of hollow." Lewchuk says the report is meant to be a conversation starter and a kick off for finding solutions for a growing situation, which he hopes will start to happen in the next couple of years or so. "We can afford this," Lewchuk said. "We need to look at making some changes."